SuperKick Media is very pleased to announce that we were asked by Alternative Wrestling World to produce the DVD for their Collision Course event back in May. 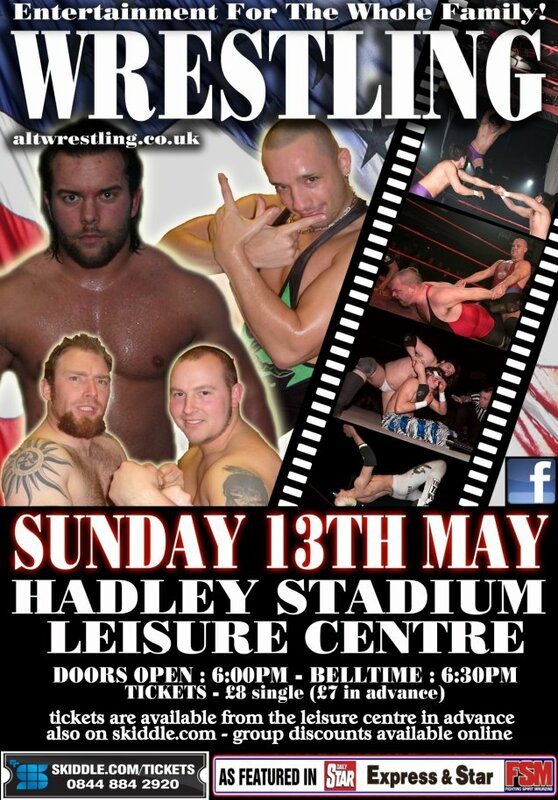 Not to be missed, it features some of the best known names in British Professional Wrestling, including the likes of AWW British Champion Carnage, “Rockstar” Spud, the “Wonder Kid” Jonny Storm, T-Bone, “Tomcat” Kevin O’Neil, Joey Starr, The Hunter Brothers, The Dunne’s, Team H8 and many, many more. Also on display are some of the Midland’s hottest new talent, including Scotty Riot, Matt Lightning and TuKay. The evening was overseen by the Safest Hands in Pro Wrestling, SuperKick’s very own Ref Paz and hosted by MC Hank McCoy. SuperKick Media can offer your promotion a wide range of services. Does your Fed need a team that can help film, edit, host & ref your shows for just one fee? Get in touch.